No deceased Orange-bellied Parrots here! 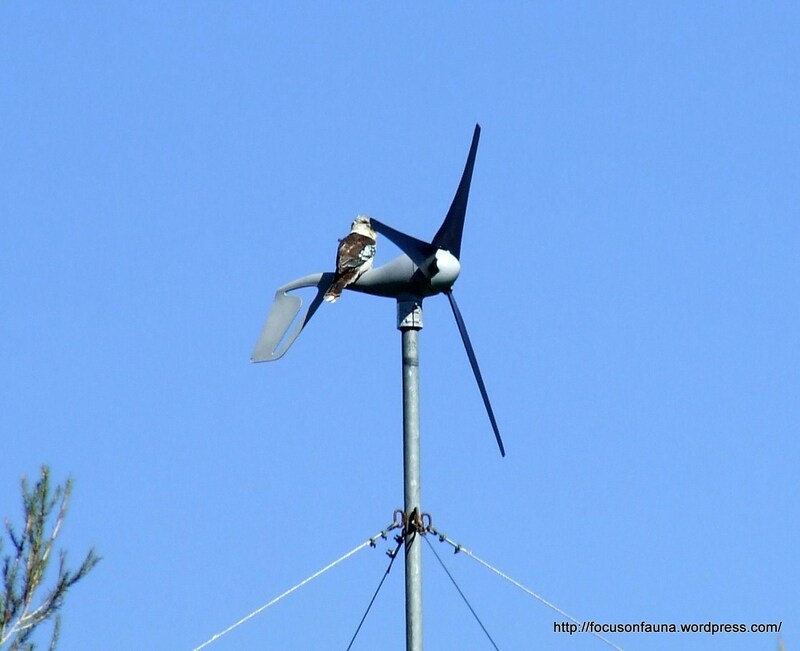 Rosemary from Strath Creek sent in this unusual shot of a Laughing Kookaburra roosting on her domestic wind-power generator. Although it has a much faster blade rotation than a large community generator, Rosemary tells us, despite some apprehension after its installation, she has never found a bird carcase near the base of the generator. Other birds do however use the body of the generator as a perch, even a Wedge-tailed Eagle which tried to balance without success. 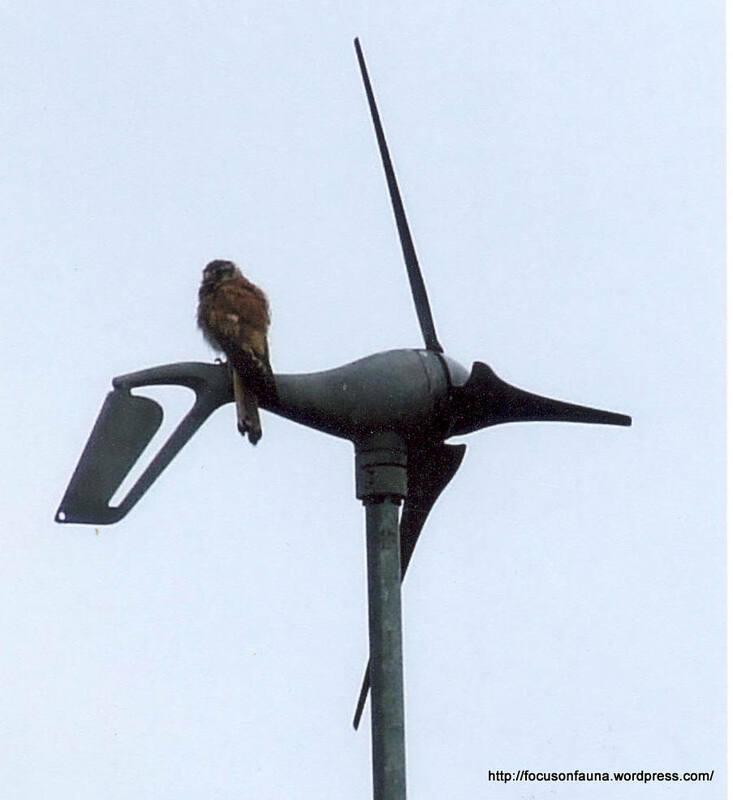 Another unidentified bird can also be seen on the turbine in the less-than-clear photo below. Any ideas on what it may be? We’re guessing a smaller raptor, perhaps a hobby or kestrel.